1976 Ford Maverick with Luxury Decor Group and Tu-Tone paint. There’s something to be said for people who go to Golden Corral specifically for the steak. Steak, it seems, means different things to many people. There’s the Ruth’s Chris steak, and there’s the buffet-style steak–as seen at restaurants such as Golden Corral. If you’re an average American, it’s likely you can’t afford to visit Ruth’s Chris on a weekly basis, no matter how good the dry-aged center-cut ribeye is. Conversely, no matter how common the meat is at Golden Corral, it is steak, and it is affordable. The question is, can you be happy eating the affordable steak? We ask this question because there was a time when carmakers were asking what amounts to the same question–can you be happy with affordable luxury? Or, more accurately, the appearance of luxury? To answer this question we look back to 1976, and a handful of common economy rides that were available with “steak”-like luxury upgrades–well, Golden Corral-steak upgrades. You tell us: Were these cars just luxury pretenders, or were they honest little worker rides fitted out to look their finest? And, which of these would you most like to drive the next time you visit Golden Corral, or Ruth’s Chris? 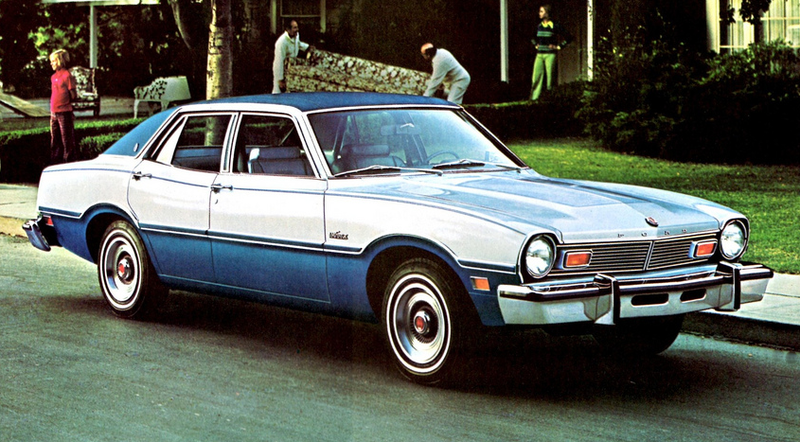 An evolution of the Chevrolet Vega, the Monza was first seen in 1975. For 1976, two Monza body styles were offered: sporty hatchback and more formal “notchback” Towne Coupe. 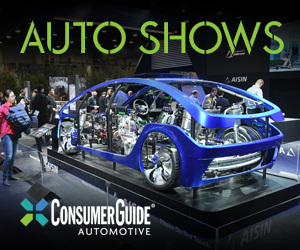 Towne Coupe buyers looking to up the luxury quotient of their Monzas a bit could opt for the Cabriolet Equipment Package. 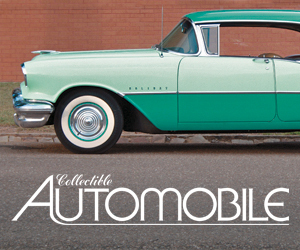 For $256, shoppers got the padded vinyl roof, and, we think, the formal wheel covers and white-sidewall tires. As seen here, the Deluxe Seat and Shoulder Belt Package added another $15. Over its long and and noble existence, the Chevrolet Nova was asked to be many things to many people. It was a high-performance car in SS guise, it was a police and rental car in fleet trim, and it was a popular ride with pragmatic sorts looking for simple, affordable transportation. Beginning in 1976, Chevrolet added one more line the the Nova’s resume: luxury car. The 1976 Chevrolet Nova Concours started at $3795, a not inconsiderable $547 more than the base Nova. That money brought a host of equipment, however, arguably elevating the Concours to a level of luxury genuinely above that of the standard Nova. Concours additions included: padded vinyl roof, bright wheel-opening trim, full wheel covers, deluxe bumpers, bright body-sill moldings, fold-down center armrest, color-keyed steering wheel and column, woodgrain cabin accents, sound-insulation package, glovebox light, map pockets, carpeted lower-door trim, rear-door armrests (4-door models), door pull handles, and a number of other trim bits. 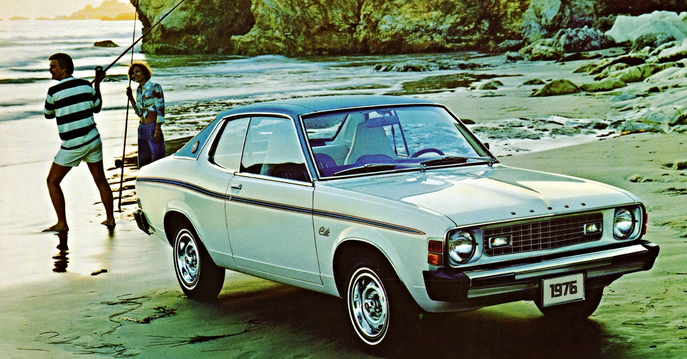 By 1976, the Maverick was on its way out at Ford. The Larger, more modern-looking Granada had come online for 1975 and was selling well, leaving the Maverick to soldier on as a price special until being discontinued after the 1977 model year. Maverick shoppers looking for a little something more than basic transportation were not entirely shut out, however, as the humble Ford compact could be dressed up–for a price. Selecting the Luxury Decor Group option for your Maverick meant that, for a cool $508, your new Ford could be finished with a padded vinyl top, deluxe wheel covers with white-sidewall tires, and a host of additional exterior trim bits. For another $55, you could get the Tu-Tone paint option. The Tu-Tone scheme was available in a number of color combinations, not just the spiffy blue and white livery seen here. At just $214, the 1976 Mercury Bobcat’s Sports Accent Group has to be considered a bargain compared to the other packages discussed here. That money got Bobcat owners the two-color paint scheme, cool wheels with trim rings and white-sidewall tires, and, we think, the bumper guards. This same package could be combined with the Runabout Woodgrain Option, pictures of which are elusive. A nice finishing touch would have been the Alpine Plaid Seat Trim at $30. Imported from Japan by Dodge, the Mitsubishi-built Colt was a spunky subcompact, known primarily for good fuel economy and decent handling. The Colt lineup included a staid 2-door coupe, a 2-door wagon, a spunky GT coupe, and a functional 4-door sedan. Another model, the Carousel, rounded out the Colt lineup, and is, by far, the most interesting of the bunch. One of the rare Japanese-built cars featuring a padded roof, the upscale-intending Carousel also sported bright wheel trim rings with white-sidewall tires, a contrasting body-side stripe, and additional exterior trim elements. Written by: Tom Appel on July 23, 2018.